From Fourth International, Vol. 13 No. 5, September–October 1952, pp. 154–160. On Sept. 17, the leadership of the French Communist Party removed André Marty and Charles Tillon from top positions in the party and demanded they “self-criticize” their “errors.” The attacks against these very prominent figures – Marty, the leader of the Black Sea fleet mutiny in 1919, and Tillon, leader of French CP partisan bands during the war – climaxed a long standing crisis in the party. The first sign of its existence was the publication of an article by François Billoux, a member of the Political Bureau, who had just returned from a visit to Moscow and with Maurice Thorez, General Secretary of the CP convalescing there from a paralytic stroke. The article swung the CP’s line sharply to the left, saying that the main enemy to be fought was the French bourgeoisie, and that the struggle for a change in the regime had to be associated with the struggle for socialism. With General Ridgway’s arrival in France to replace Eisenhower a new train of events began. The CP attempted to mobilize the workers in protest but only the vanguard responded and the various strikes called by the CP-controlled CGT (General Confederation of Labor) failed miserably. The Pinay government counter-attacked by arresting Jacques Duclos, another outstanding CP leader, and raiding party headquarters. Again the CP attempted to arouse a vast protest movement, but again it failed. Thereupon a new session of the Central Committee was held (in June) and after extensive “self-criticism,” the line was swung again to the right by the acceptance of another leader’s, Etienne Fajon, report. Since then the pot has continued to boil until Marty and Tillon were put on the carpet as scapegoats, denounced for sundry “crimes” by Leon Mauvais, the Central Committee’s prosecutor. Michel Pablo’s article is a lucid analysis of the whys and wherefores of the various turns and their meaning for the future of the revolutionary movement in France. For further background material, the reader is referred to The Politics of French Stalinism by Pierre Frank (FI, July–Aug. 1952). Ever since the beginning of the “cold war,” the Soviet bureaucracy as well as the leaderships of the Communist parties have been thrust into a new set of conditions out of which certain inevitable reactions have arisen. The meaning of the “cold war” is this: for the first time since the Russian Revolution, the antagonism between capitalism and the USSR – which is being extended to a more fundamental antagonism between capitalism and the socialist revolution in all its forms – has definitively transcended antagonisms between the imperialist powers. The “cold war” is moving inevitably toward a war of the imperialist coalition against the USSR, the “people’s democracies.” China, the colonial revolutions, the revolutionary movement in the capitalist countries. The Soviet bureaucracy, fearing this inevitable outcome of the “cold war” because of the military strength of the imperialist camp and especially because of the revolutionary upheavals this war will not fail to produce on an international scale that will forever destroy its position as an all-powerful privileged caste in the USSR, would like to avoid the war or at least to put it off as long as possible. This concern is at the bottom of its propaganda for “peaceful co-existence,” the “Peace Movement” (“Big Five” agreement, “peaceful settlement of the German and Korean problems” ...). But on the other hand, the speeded-up war preparations of imperialism oblige the Soviet bureaucracy to base itself on the masses in a struggle against these preparations by “effective mass actions.” The actions and pressures brought to bear against the bourgeoisie are much more strenuous in countries which the Kremlin believes are definitely incorporated in Washington’s Atlantic coalition than in countries where it still counts on “neutralizing” the bourgeoisie. Each time imperialist antagonisms temporarily flare up in the Atlantic Coalition, the Kremlin sees a new chance of “neutralizing” this or that partner of the coalition, and adjusts its policy accordingly. The role of the leaderships of the Communist parties in the capitalist, colonial or semi-colonial countries is to apply this policy in their own country, while being obliged to some extent to take account of special national considerations and the scope of the mass movement they lead. Hence the important variations that can be noted in a comparison of the application of the policy by the French CP with that of the Italian, English, Greek, Indian or Chilean Communist parties. This policy, always based on promoting the general propaganda themes emanating from the Kremlin, may appear at the moment as being more or less “left,” depending on whether it involves a country like France where the bourgeoisie is a dissatisfied element in the Atlantic Coalition, or a country like England where the bourgeoisie goes along more readily with Washington. What is striking in a comparison of the, present policy of the Communist parties with the one they followed before the 1939–1944 war is its relative diversity rather than its uniformity. During the “third period” (1928–1933) and then the People’s Front period (1934–38) the almost mechanical automatism of Communist party policy, directly transposing the Kremlin slogans to their own countries, was much more marked than it is today. These changes, particularly since the war, are to be explained by the probable absence of Kremlin controls as strict as in the days of the Comintern, and particularly by the scope of the movement led by some of these parties. It is entirely too pat to believe that the leaderships of the Communist parties as a whole act as mere transmission belts for the daily orders of the Kremlin. It is not likely that there now exists, even from time to time, the semblance of political analysis by an international leadership of the Communist parties which attempts to garnish the Kremlin’s policies with a “theoretical” sauce and then submits them as directives to the different national leaderships. There may have been a beginning made along these lines at the time of the Cominform during its first periodic meetings. But this form of leadership and of relative coordination of the CPs seems to have been disrupted since the Yugoslav schism. The Kremlin’s “line” is transmitted to the national leaderships of the Communist parties through episodic documents such has Zhdanov’s famous report in 1947, this or that “historic” declaration by Stalin on “peaceful coexistence,” on how to “preserve peace” or on the “non-aggravation of the war danger between 1950 aad 1952,” the decisions of the Congresses and Councils of the World Peace Movement, the editorials in Pravda and in the Cominform paper, For a Lasting Peace ... The most recent of these were Stalin’s article in the Bolshevik and Malenkov’s report to the 19th Congress of the CP of the USSR. Since all these sources of the “line” are often contradictory, and never sufficiently clear nor buttressed theoretically, since they often change without reference to past positions or any attempt to justify the change, leaving a series of questions unanswered, the national leaderships face the perpetual problem of discovering what the “line” really is and how to interpret it correctly. The line does not exist as such, i.e., as political conduct which conforms to the conclusions of a Marxist analysis of the international situation. The Kremlin’s line is its way of utilizing the CPs and their mass movements for the changing aims of its foreign policy toward the bourgeoisie of this or that country. By its very nature, it is full of contradictions, ever-changing and incoherent. It isn’t submitted to the test of critical and thoroughgoing examination which would quickly reveal its contradictions, opportunism and inconsistency. However, the leaderships which have to apply the line are obliged to concretize it so that it becomes comprehensible to their members and the masses who are to be mobilized on this line. Caught between the need of acting faithfully to the Kremlin, of correctly interpreting its ideas without “nationalist” deviations or errors, and of maintaining their base while mobilizing for these aims, the CP leaderships (by the very nature of this very complicated and difficult game) are given to wavering between what they call “opportunism” and “sectarianism” and to stirring a permanent crisis in their own ranks. The primary and fundamental source of the difficulties which the leaderships of the mass CPs of the capitalist countries encounter today rests in the contradictory and incoherent nature of the policy the Kremlin now assigns them: The struggle by “effective mass actions” against war preparations on a basis of general propaganda for “peaceful co-existence,” an agreement between the “Big Five” and the disruption of the Atlantic coalition. A real struggle against war in any country whatever means a struggle against the capitalist system, against the bourgeoisie by a united front of proletarian and impoverished petty-bourgeois masses (in the city and country) oriented toward the taking of power and the workers’ and peasants’ government. Twist or turn this question as you will with any amount of tactical dexterity and you will find no other answer, no other solution to it. But to desire simultaneously to mobilize the masses against imperialist war preparations and to speculate on the “neutralization” of this or that bourgeoisie means in practice to sabotage the realization of the primary objective. That is the contradiction in which the leadership of the French CP has been floundering for some time. A special series of factors in France and in the French CP has to be borne in mind for an understanding of all the recent waverings of its policy since the Billoux article uncovered the simmering crisis which has long existed in its ranks and which broke out into the open in the Marty-Tillon affair. The French bourgeoisie now constitutes the unstable element in the Atlantic coalition. Handicapped by the bloodbath inflicted on it by the Indo-Chinese war, troubled by the power of the national movement in its North African colonies which are coveted by Washington, frightened by the economic rebirth of Germany and its more and more preponderant role in the Atlantic coalition, an important part of the prosperous French bourgeoisie and middle class has become discontented and is dreaming of getting out of its difficulties and fears by overcoming its inferior position in Washington’s Atlantic coalition. The Kremlin is speculating on this state of mind and may also be dreaming again of a future “neutralization” of France. (This hypothesis is confirmed by the emphasis Stalin put in his recent article on the “inter-imperialist” antagonisms and his special mention of France.) It is possible that these speculations on the gyrations of France within the Atlantic coalition, which have assumed a certain breadth precisely in recent months, have played an important role in the gyrations of the French CP. On the other hand, since February 12 the leadership of the French CP has suffered a series of resounding defeats in its attempts to mobilize the masses against the Pinay government’s policy of war and reaction. This has revealed the enormous gulf between the party’s electoral activity and its ability to mobilize this influence for action when and as it wishes. Handicapped by the absence of Thorez, its real leader; jarred by internal dissension now of long standing; obliged to defend itself and alarmed by its failure m mobilizing the masses which its bureaucratic mind cannot grasp, the French CP leadership has in the last few months presented the really pathetic spectacle of a group that doesn’t know what saint to swear by. It seemed last May, at the time of the publication of the article by François Billoux, that the CP leadership, taking stock of the recent evolution of the international situation, was somehow completing the left turn which had become more marked since the Korean war. The emphasis in Billoux’s article was placed on the need of centering the struggle against the French bourgeoisie, the willing “servant” of American imperialism, and of more boldly presenting a socialist perspective to the masses who were to be called upon to force by their extra-parliamentary actions a “complete change of (the nation’s) political orientation.” Then came the publication of Jacques Duclos’ notebooks (which were found on his person at the time of his arrest), which contain a synopsis of the discussion in the Political Bureau of the CPF on April 11, 1952. They demonstrated that the Billoux article in reality summarized the line which Maurice Thorez himself held at the time, as well as the unanimous approval of the line by the Political Bureau after discussion. For the first time in years, a relatively clear and firm class orientation was presented in a Stalinist internal document. To the general astonishment of all those who considered the Billoux article to be a victory of the “leftists” and the “sectarians” in the CP leadership, it turned out that it had in reality been Thorez who had called for completing the left turn. Neither Marty nor Tillon had anything to do with this turn as they also had nothing to do with the really sectarian and adventurist actions, particularly the demonstrations after Duclos’ arrest, which followed the publication of the Billoux article. In this connection, it should be remembered that the anti-Ridgway demonstration was endorsed by the Peace Movement, and the entire Political Bureau supported those actions which followed Duclos’ arrest. Moreover these actions were, by no means implicit in the Billoux document, nor in Thorez’ directives as we now know them from the publication of the Duclos’ notebooks. They were due to the unbelievable overestimation of the possibilities of effective mobilization of the masses for suddenly established political objcctives, as well as to the exaggerated forms of action demanded of the masses, and to the bureaucratic preparation of this action. If the Political Bureau itself had to admit that Maurice Thorez’ ideas had obliged it to reflect on a whole series of political questions which it had overlooked, underestimated or poorly understood, and that it was slow in preparing politically – then it was absolutely inevitable that the ranks of the party and particularly the masses, who had long been educated in a different spirit and a different line, would not quickly absorb the turn or follow the leadership in the new action. Only bureaucratic leaders can think that they are capable of leading the class at the whim of their shifting desires. In reality, mobilizations of the class for political actions like those ordered by the CPF leadership on Ridgway’s arrival or after Duclos’ arrest, could be effective only if there had been a consistent policy of the revolutionary party over the years which educates the mass and wins and consolidates their confidence. Because of the opportunist character of their policy, Communist parties are incapable of acquiring such confidence from the masses. The masses vote for the CP, sympathetically support the “hards” of the party when they fight the police on the streets of Paris, but are not themselves ready to engage on short notice in such forms of action neither to receive Ridgway nor to protest Duclos’ arrest. The prerequisite for the mobilization of the masses by the revolutionary party is a consistent and coherent policy practiced over a number of years. This is exactly what the CP leadership lacks and what they will continue to lack as long as they are primarily instruments of the Kremlin’s policy and not conscious representatives of the interests of the mass movement they lead. Everything that then happened in June, about two months after the Political Bureau discussion and hardly a month after the publication of the Billoux article, demonstrated that the leadership of the CPF, unnerved by the events and by the offensive of the bourgeoisie, failed again to preserve proportions and to apply Thorez’ line. It actually sinned by an inordinate sectarianism and adventurism in “mass action,” having ordered bureaucratically improvised forms of action which were completely out of keeping with reality. On the other hand, neither the ranks of the parly nor the broader masses, who vote for the CP, had time to make the turn indicated by the Billoux article. (During the discussion in the Political Bureau on the Billoux article, Etienne Fajon warned “not to give the impression of a turn” and that “these [new] ideas [of Thorez] should permeate the press and our various organs of opinion” – recorded in Duclos’ notebooks.) The political actions decided upon in June by the party leadership came as a surprise to the masses at a time when the bourgeoisie was vigorously counter-attacking, and by arresting Duclos was hurling a direct challenge at the CP, driving it suddenly into a test of strength. Was the Turn Too Far Left? The way that the CP leadership interpreted its defeat in this test, and its reactions to it, were a new demonstration of the political mediocrity, empiricism and cowardice which characterize so many petty-bourgeois bureaucratic formations which history has put at the head of the workers’ movement. It was none other than the workers who voted for the CP and the CGT who did not act and did not follow the party’s slogans of action after Duclos’ arrest. Can it be seriously said that the workers did not act because they were frightened by the too “leftist” character of the new line set forth in the Billoux article? Or was it rather because this line was suddenly thrust at them after years of an opposite course which dissociated the socialist perspective from the daily struggles and did not involve the masses in a fight primarily aimed at their own bourgeoisie? On the other hand, even if the class line and the education needed by the masses for such a line had been pursued over an extended period by the CP leadership and not just a brief two months before its application, an action of the scope decided upon in June by the nervous and disoriented Stalinist leaders would have had to take into account and adapt itself to the real state of mind of the masses for its choice of the forms of action. If the workers did not act in defense of the CPF last June when it was attacked by the bourgeoisie, it was because at bottom, although voting for the CP, they maintain reservations and scepticism toward the opportunist policy which the CP leadership has pursued over the years. No “left” turn could dissipate this sentiment in two months and transform it overnight into enthusiastic support for a decisive action in defense of the CP. On the contrary, the “left” turn appeared to many to have been once again dictated by passing factors, determined by the Kremlin’s interests and not as a genuine expression of a sincere return to a consistent class line. In fact, the Billoux turn was condemned from the beginning by the petty-bourgeois fellow-travelers of the CPF as a “sectarian” and “leftist” manifestation which was sabotaging the realization of a real policy of “co-existence” abroad as well as at home, meaning of course real class collaboration. The June events and the defeats suffered by the CP in action have reinforced their criticism as well as their pressure on the Stalinist leadership. Judging by the reaction expressed in the Fajon report to the Central Committee on June 18, this leadership appears much more sensitive to the pressure of the petty-bourgeois wing of the movement it leads than to the feelings of the working masses; which explains their passivity. Without explicitly condemning the Billoux article or its main line (its analysis of the international situation, the role of the French bourgeoisie, the need for effective mass actions), Fajon again shifted the emphasis to the right by limiting the importance of the struggle against the French bourgeoisie to a struggle against some “millionaire capitalists,” by speculating again on “differences” within the bourgeoisie and by separating the struggle for peace and economic demands from the struggle for socialism. In this shift of emphasis to the right, he saw the possibility of fighting against “sectarianism,” which threatened to swerve the party far from the “right road,” and of renewing the links with the proletarian and petty-bourgeois masses at the lowest and most elementary level, that is, at the level of economic demands and the defense of democratic rights. It should be said from the outset that neither the criticism of how the June actions were prepared and carried out, nor the decision thereafter to center the party’s activities around elementary economic demands and democratic rights, as contained in Fajon’s report, are in themselves erroneous. The self-criticism of the incredible bureaucratic adventurism of the leadership and the need of resuming contact with the masses at a lower level were positive points. But the explanation of the passivity of the masses, and how this could be overcome in the long run, were false because they again denied the importance – which had been emphasized in Thorez’ directives – of linking the socialist perspective and class political solutions to elementary mass struggles precisely in order to make such struggles possible and to raise them to higher levels. The working masses will be mobilized neither against the war nor for any other political objective of the party if the socialist perspective is concealed and if they are not educated ahead of time and all the time on a class line. The Central Committee meeting of September 4–5 slipped still further in the same right wing opportunist direction by extending the right wing conceptions in the Fajon report to include a United National Front, proposed by Duclos, to encompass certain sections of the bourgeoisie itself, and relegated the socialist perspective to the exclusive domain of propaganda detached from the day-to-day party campaigns. Looking back upon the road traveled from the April 17 Political Bureau discussion, the Billoux article, and up to the September Central Committee meeting, one is perforce led to inquire into the deeper reasons and more decisive initiatives than those of Billoux, Fajon or Duclos to which this extraordinary switching of positions can be attributed. Was the change caused by internal factors geared to the evolution of events in France since last September, or by new directives originating in Moscow? To what extent has the internal crisis of the CPF leadership, as it now appears in the Marty-Tillon case and which has long wracked the CPF leadership, also influenced this course of events? At best one can conjecture in a field where the facts are lacking. It should not be forgotten that capitalist circles seriously envisage the possibility of a rejection of the German contract by the French parliament and the fall of the Pinay government on this question. And on the other hand, there are persistent rumors of secret Franco-Soviet conversations on Germany. Naturally Stalinist opportunism finds new sustenance in this view which serves to complement the present relative inactivity of the French masses. Far from their passivity during the June events having served to demonstrate to the leadership of the French CP the need of a firm and clear class line, it has been interpreted on the contrary by the right wing of the petty-bourgeois bureaucrats as mass disapproval of the “left” turn. As we have already noted, they were more sensitive to the arguments and pressure of their petty-bourgeois allies than to the real causes of the passivity of the working masses. Finally there is the possible outbreak of crisis which has wracked the Stalinist leadership for several years. Although nobody yet knows the real position of Marty and Tillon, it appears from the criticisms levelled at them, and especially from the astonishing indictment in the (Leon) Mauvais report, concocted with all the disingenuousness of bureaucratic masters of the art, that their tendency in the Central Committee and in the party in reality reflects the’ expression of a left wing – certainly deformed in character but also a largely conscious grouping – in the party and the mass movement it influences. However partial was the base on which this wing developed, it drew on the experience of a number of elements, leaders and others, and upon the fluctuations of CP influence during and since the war. It grew at the beginning of the “cold war” and continues to grow as the new war which is identified with the final and decisive struggle for the world socialist revolution draws closer. It expressed differences with the tactics of the leaders who had spent the war-years in Moscow and who blindly followed the Kremlin’s orders during the “liberation” period by disarming the popular forces in the interest of the bourgeois state and thus breaking the revolutionary spirit of the whole movement emerging from the war; then on the inoperative character of the struggle for peace through petition campaigns for the Stockholm Appeal and the Big Five pact. It supported a more correct policy toward the Socialist Party by refusing to put it on the same footing with the political formations of the bourgeoisie, but rather proposed a united front with it against the de Gaullist danger. It even put its emphasis on a struggle directed primarily against the French bourgeoisie as the willing ally of American imperialism. All these charges, explicitly or implicitly stated, are to be found in Mauvais’ indictment. Naturally it may be that the accuser exaggerates the degree of clarity and the scope of the differences, that he falsely attributes some of them to Marty or to Tillon, that he makes amalgams, that he tries to demonstrate that a coherent opposition existed over a long period and sought to set itself up in organized form as a parallel leadership of the party. The fact nevertheless remains that such ideas were germinating in the minds of the rank and file and even among outstanding CP leaders, and were occasionally although confusedly finding expression, and circulating and sowing trouble and panic among the strictly Muscovite-type leaders. According to the document it appears that the two “culprits” expressed differences more or less clearly on the following questions: the German-Soviet Pact of 1939 and the attitude of the CPP at the time; the attitude of the CPF during the war, Marty presenting the CPF and its members as the “most consistent deGaullists”; the return of arms to the bourgeois state and the dissolution of the patriotic militias; the role of the USSR in the liberation of Prance and the “people’s democracies.” Marty believed that it was necessary to put the emphasis on the action of the masses and not of the Red Army; on the inoperative character of the struggle for peace by collecting signatures; and on the contradictory turns on the German question; on the sectarian attitude toward the social democracy. It is probable that the left tendency, represented as imperfectly as it is by Marty and Tillon, has in a contradictory way influenced the entire policy of the CPF in the last months. Insofar as this tendency found an echo in the ranks and especially corresponded to the realities and needs of the movement, the CPF leadership was obliged to make concessions to it both to cut it off from its base, to halt its potential development and to be in a better position to attack it afterward without itself appearing to be aligned with the right. It was for these reasons, among others, that Duclos and Lecoeur were careful to avoid the appearance of proposing a “sacred union” with the bourgeoisie, of abandoning the socialist perspective or purely and simply capitulating to the right wing pressure of their petty-bourgeois allies in the Peace Movement. That is why they attacked Pierre Cot (a CP fellow-traveler who said that a policy of “coexistence” on a world scale implied a policy of class collaboration at home. Agreeing with international collaboration, Lecoeur denounced co-existence at home as “betrayal” – Ed.). But at the same time, they are trying to discredit the left not only by attributing factional activity to it but by allowing it to be understood that it was the position of the left which indirectly favored sectarian excesses in language and in action. This revolting bureaucratic operation is presented as usual as a striking manifestation of the “democratic” character of the party which is generous toward any leader who admits a mistake and does not fear “open self-criticism.” What cynicism and what a farce! One cannot help but be astonished that this flagrant anti-democratic aspect of the action staged against two Communist leaders has almost passed without notice by all these “democratic” fellow-travelers and other sympathizers of the CP who see only what they consider a probable “just” punishment of “leftists” and “sectarians.” How infinitely more determinant in politics is social position than the verbal cult of “democracy.” But these “democrats” are greatly in error to accuse Marty and Tillon of representing a “sectarian” wing. If there is at present a sectarian position which blocks all possible progressive development in France, it is much more reflected in the attitude of Duclos, Lecoeur and Co. toward the Socialist Party. To say as Lecoeur did in his speech at the September Central Committee meeting that the “main obstacle” in “the path of unity of action is the social democracy” and to emphasise that “it is impossible to advance toward unity of action without first denouncing the social democracy” – to say that is to reject the united front from party to party and to practically call upon the Socialist rank and file to desert their own party. It means turning one’s back in the most sectarian manner on all real possibility of realizing the united front of the proletariat and broadening it to the impoverished petty bourgeois masses of the city and the countryside. These masses are organized or politically oriented in one way or another and if they have not thus far joined the CP, that means they still retain confidence in another party. The only way to realize a united front with them now is through their party, in this case, the Socialist Party. Whether the SP leadership accepts or rejects this proposal is not the determining consideration for a systematic party-to-party united front campaign directed at the SP just as the CGT, for example, directs its united front appeals to other trade union federations. If this campaign is well conducted and arouses a strong movement among the rank and file in favor of the united front, the socialist leadership will either have to accept or will expose itself and in that way only will lose its influence over its own rank and file. But a campaign for this national united front must remain a hollow one and devoid of all concrete meaning so long as the attempt is made to achieve it by first demanding that the masses leave the parties in which they still have confidence. The policy of united national front is inevitably doomed to defeat because the objectives of the front cannot set into motion either the proletariat or the impoverished petty-bourgeois masses, and because the CP leadership is adopting a sectarian and criminal attitude toward the SP which is in reality the only other party that represents the bulk of these masses. A genuine party-to-party united front policy with the SP is the only policy at the present time which can consolidate the unity of action of the proletariat, broadening it to the impoverished petty-bourgeois masses of the country. (The broadening of the front to “democratic” and “anti-American” bourgeois strata fits into the sphere of pious dreams which the Kremlin entertains for the exclusive purpose of aiding its diplomatic objectives in France.) This would unfold important new political perspectives: a Socialist-Communist workers’ government, or even a Socialist government supported by the CP. 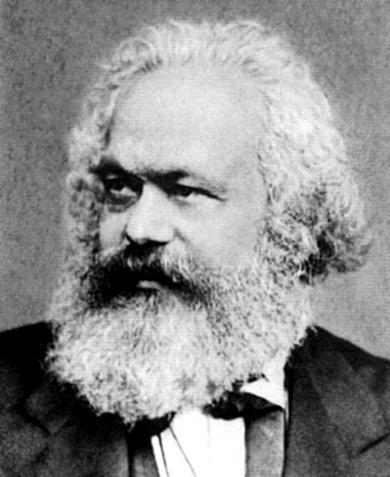 There is no other realistic role, no other method of causing the “change of political orientation” of the country and not merely “changing a ministry or government” that such a policy and such immediate aims which are possible given united action of the proletariat and the impoverished petty bourgeoisie. So long as the CP leadership devotes itself to speculating on the inter-imperialist and internal “contradictions” of the French bourgeoisie and so long as it maintains its sectarian position toward the SP it will not consolidate any “front,” either “national” or otherwise, but in practice will sabotage the consolidation of the only kind of front that is now possible. The sharp, successive and contradictory turns of the last month, the public demonstration in action of an unbelievable degree of spasmodic, bureaucratic improvisation far removed from the realities of the forces they lead have caused extreme ideological confusion among the rank and file and the cadres of the CP and has greatly injured its prestige among the broad masses. The theatrical exhibitions of self-criticism from one month to the next have only contributed in deepening the uneasiness and distrust of all critical proletarian elements. The revolting, bureaucratic action it has instituted against the left wing of the party, and which it is now using as a diversion, adds to the harm it has done. Its policy and its practice threaten to waste the most precious of its capital – the confidence of the working class in the CP – as well as long undermining all possibilities of effective mobilization of the proletariat for the political objectives of the party Perhaps the unnerved and disoriented bureaucratic leaders, buffeted by events, are awaiting the announced return of the leader to recover their confidence as well as to re-establish a line and unity in the disunited leadership. But the genuine and thoughtful revolutionary elements who are correctly, working patiently and methodically within the communist movement in France, have only themselves to count on in order to strengthen the genuine left wing current which is already in formation and which will openly emerge in a more advanced stage of the workers’ movement in France as its real revolutionary leadership. Their possible allies within the communist movement are now already numerous and their potential allies, arising out of the inexorable development of events, will be even more numerous.